Come Explore Summer Knitting with Plant Fibers! The sun is shining and summer is just around the corner! 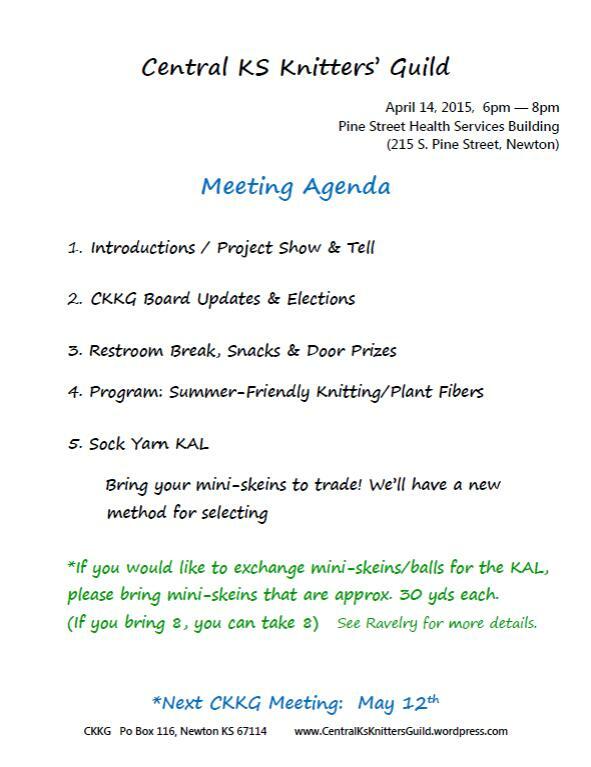 Join us at the Central KS Knitters’ Guild meeting Tuesday, April 13th at our new location in Newton, 215 S. Pine Street. We have a fun evening planned, so grab your knitting for Show n’ Tell and join us as we explore knitting with plant fibers and summer-friendly patterns. CKKG Board Elections are just around the corner, we have several open positions and don’t require a huge time commitment! The 6-member Board plans upcoming meetings and fun trips! See you Tuesday! Previous Previous post: New meeting location for tonight!